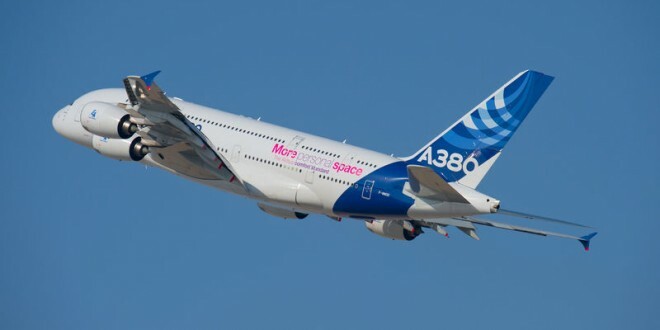 Home >> Analysis and Features >> Analysis: Which airlines will fly their A380s to India? Airbus A380 featuring the "more personal space" livery at the Dubai air show. 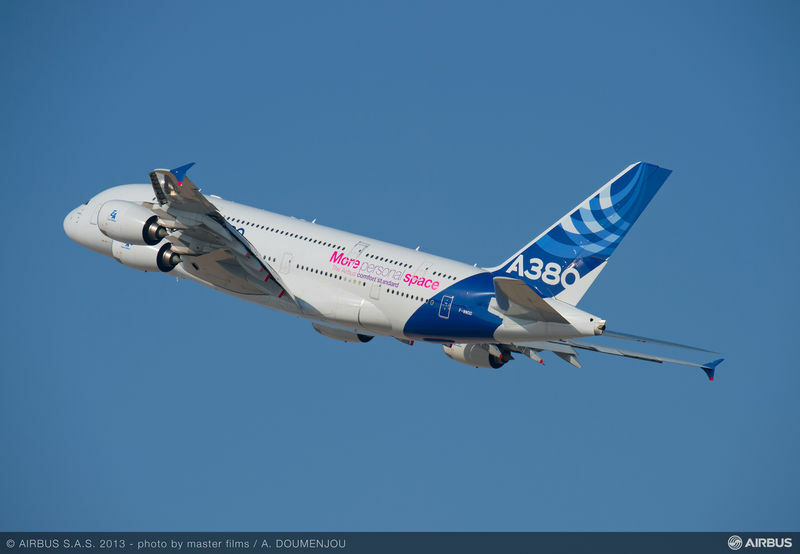 Picture courtesy and copyright Airbus. Analysis: Which airlines will fly their A380s to India? Last week, the Indian aviation community was abuzz with the news that the government had finally permitted operations of the Airbus A380 in to India. In its announcement, the ministry mentioned Singapore Airlines, Lufthansa, and Emirates as potential candidates in operating the aircraft to India, but there are seven other operators of the giant, all of whom, with the exception of Qantas Airways, operate to India. Three of the Five near future A380 operators, Qatar Airways, Etihad Airways and Asiana also operate to India. The question for many aviation enthusiasts is which airline will fly in world’s largest passenger airliner, into one of the world’s most exciting aviation markets, India? Before we proceed, it is important to realise the sheer size of the A380. The aircraft is classified as a VLA (very large aircraft) which includes the venerable Boeing 747 jumbo-jet. While Airbus shows the typical seating of A380 at 555 seats in a three-class configuration, most airlines have configured their aircraft from a low 407 seats at Korean Air to a maximum of 526 at Lufthansa. 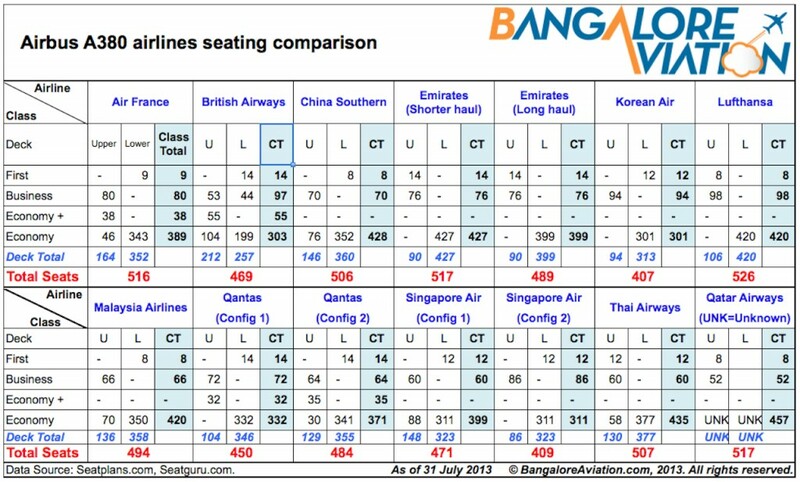 The info-graphic below shows the various cabin configurations of the A380 operators. The size of the aircraft makes it a challenge for any airline to fill. In its order, the ministry of civil aviation allowed the operations of the super-jumbo at the four major Indian gateway airports capable of handling the A380 – New Delhi, the busiest, Mumbai, the second busiest, Bangalore, the third busiest domestic and fourth internationally, and Hyderabad, the sixth. Chennai and Kolkata are excluded since they lack the airside capability to land this huge plane. Hyderabad. For the foreseeable future (about 36 months), we believe Hyderabad lacks an adequate catchment especially in the premium classes to allow an airline to profitably operate the A380 consistently. Bangalore. On the face of it, Bangalore is in a similar situation as Hyderabad, but the IT city is very different from the rest of India, driven by business traffic, it has a high business class demand with virtually negligible first class demand. This same business and IT profile drives demand to extreme volumes on weekends with low weekday loads. The hi-tech nature of Bangalore’s economy also ensures it has the highest percentage of air cargo of India, which airlines carry as belly-hold for additional revenues. Both British Airways and Lufthansa operate the Boeing 747 to the IT city. Given the flexibility of the large A380 fleet, there is a small possibility that Emirates may operate an A380 during the high traffic winter months and during the weekends. Airbus Global Market Forecast. Top 20 VLA airports by 2030. New Delhi and Mumbai. In its global market forecast (GMF), Airbus rated New Delhi and Mumbai in the list of top 20 VLA (very large aircraft) airports by 2030. These two biggest airports in India have the traffic volumes in all the three classes to sustain regular A380 operations. The issue will be which airlines will choose between these two cities. There are currently ten operators of the A380. Air France, British Airways, China Southern, Emirates, Korean Air, Lufthansa, Malaysia Airlines, Qantas, Singapore Airlines, and Thai Airways. Five more operators, Qatar Airways, Etihad Airways, Air Austral, Skymark Airlines and Asiana will join the A380 family soon. Of these 15, Air Austral, Qantas, and Skymark don’t operate to India, and we will exclude them for now. We next eliminate those airlines that we are reasonably sure will not operate an A380, at least in the foreseeable future to Indian airports. Air France, focuses its bigger aircraft on north American and far east routes. It only operates its mid-sized A330s to India. Malaysia Airlines and Thai Airways focus their A380s in slot constrained high volume airports like London Heathrow, Paris Charles De Gaulle, and Frankfurt. China Southern, Korean Air, and Asiana have insufficient traffic rights to India and also focus their VLAs on north American and European destinations. Qatar and Etihad are remote possibilities for the near future as they too will initially deploy their A380s to slot congested London, Paris, Frankfurt and possibly New York. Rumours about Etihad giving one of their A380’s to their Indian partner, Jet Airways, appear to be just that for now, rumours. This leaves us with four possible candidates. British Airways A380 touches down at London Heathrow airport. Photo courtesy British Airways. British Airways (BA) is the most understated, yet most exciting prospect of bringing A380 to India. The whole universe conspires to make the mechanics work on the routes for BA. The stage lengths of about eight to ten hours are just right. India is an important destination for the airline, and it is demonstrating this by flying its latest aircraft, the Boeing 787 Dreamliner to Hyderabad starting March. London is one of the most visited cities by Indians, not to mention the large Indian origin diaspora living in the United Kingdom, and Heathrow is the A380 capital of the world with virtually every airline flying its A380 to it. 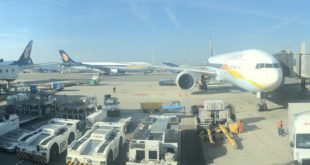 Despite a short sighted transit immigrant visa requirement and ridiculous air passenger fees, Heathrow is a major transit point for passengers between India and north America. While Mumbai gets the newer 777-300ER featuring the airline’s updated cabin product, New Delhi lags behind having to make do with older 747-400s and 777-200s. The intelligent fleet deployment of British Airways must be noted. 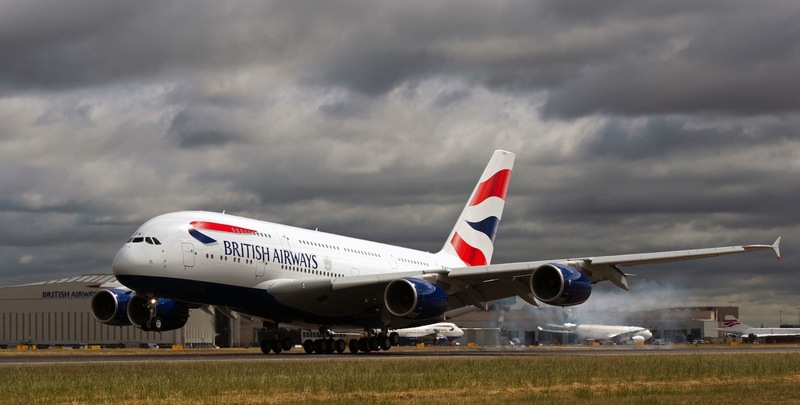 During the summers, BA deploys its larger aircraft across the Atlantic catering to massive Europe north America tourist traffic, while winters sees these aircraft in traditional “home coming” destinations in south Asia, China, and ASEAN. we at Bangalore Aviation, are fairly confident of seeing a Union Jack liveried A380 at New Delhi in 2015, if not in the winter schedule. Emirates_A380-800 A6-EDF arrives at London. Photo copyright Devesh Agarwal. 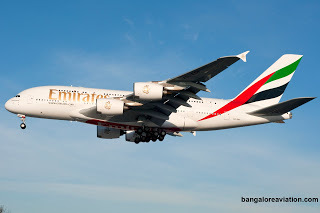 Emirates (EK) is the world’s largest operator of the A380, and is also the biggest foreign airline operating in India, with some calling it the unofficial national airline of India. The airline operates four daily flights to New Delhi and five dailies to Mumbai, almost all of them using the 777s. Though on the surface, the short distances from Mumbai and Delhi to Dubai may not justify the A380 which is primarily designed for longer distances, Emirates has been using its A380 ingeniously on shorter routes and we feel, will be able to make Dubai to Mumbai and Delhi work. Emirates has been suffering an image of inconsistent cabin product on its India flights, and the A380 will allow the airline to repair this perception. With over 44 A380s already in its fleet it is almost certain, the airline will commence an A380 service to both Mumbai and New Delhi. However, since the existing bi-lateral air services agreement (ASA) cap being long exhausted, Emirates will have to consolidate its flights to accommodate the large behemoth. We expect EK to steal the thunder and be the first to operate an A380 to India. Lufthansa A380 D-AIMA. Photo by Lasse Fuss used under CC license. 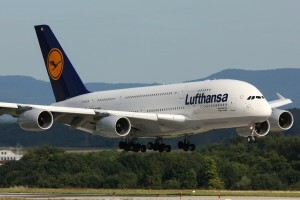 Lufthansa (LH) has always declared its intentions to operate the A380 to India. It was forced to bring its other VLA, the Boeing 747-8i, to New Delhi when the government held firm in its short-sighted denial of A380 operations. This past week saw Lufthansa become the first airline to publicly declare their intentions of bringing Airbus A380 to “major Indian markets”, and most likely from the winter schedule which starts in end October. The carrier operates an A330-300 featuring its new business class product (which is not on its A380) to both Mumbai and Delhi. The 747-8i to Delhi also has the new business class and the new first class product (which is also on their A380), while the 747-400 to Mumbai is two generations behind and desperately needs an upgrade. We expect Lufthansa to operate one A380 to India. It may upgrade Delhi to an A380 and move the 747-8i to replace the 747-400 at Mumbai, or it might directly upgrade Mumbai to an A380. The Indo-German bi-lateral ASA has to be amended to include the A380. Singapore Airlines A380-800 9V-SKD. Image copyright Devesh Agarwal. Used with permission. May not be copied or re-distributed. Singapore Airlines (SIA) was the launch customer of the A380, has 19 aircraft in their fleet, and they have just ordered another five. 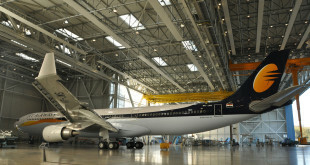 SIA is also in partnership with the Tatas to commence a full service airline in India. The airline has a strategy of offering its best products to the political and commercial capitals of Asian countries. 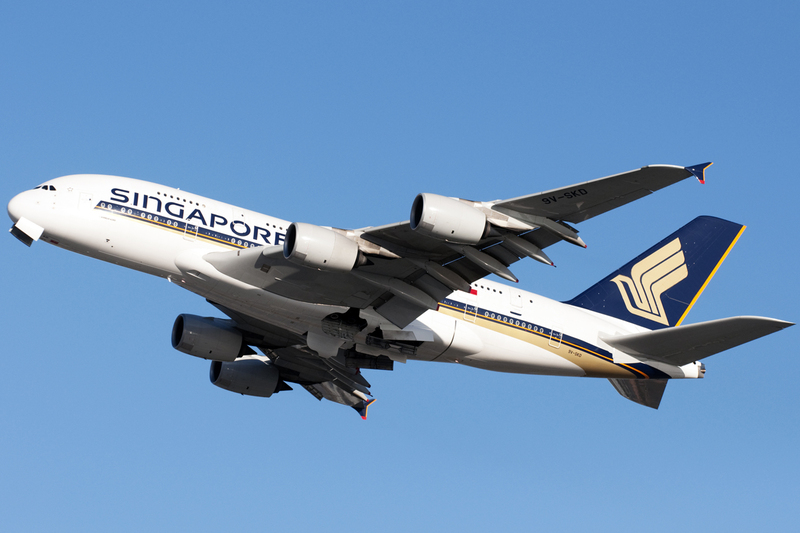 Following this, SIA has been aggressively expanding at Mumbai where it offers triple daily flights to Singapore, while Delhi is at 19 weekly flights currently and will become triple-daily from the summer schedule, all on Boeing 777s. At both cities, the pattern is a morning flight on a smaller 777-200 with two night/mid-night flights being scheduled within three hours of each other. Delhi though still does not receive the airline’s 777-300ER flagship which features their newest cabin product, so it is very likely the airline will choose to club the two night/mid-night flights and offer Delhi the airline’s best cabin product which includes the SQ Suites. No on-board frolicking please, the airline’s rules clearly prohibit joining the ‘mile high club’. The dilemma the airline faces is that its current A380 fleet is fully deployed. The additional five orders are relatively recent and delivery is not expected any time soon. The airline will have to sacrifice one flight from another destination to service India in the short term, or may choose to deploy A380s at a later date. Please share your thoughts on this subject via a comment. This analysis was jointly authored by Devesh Agarwal and Vishal Mehra. 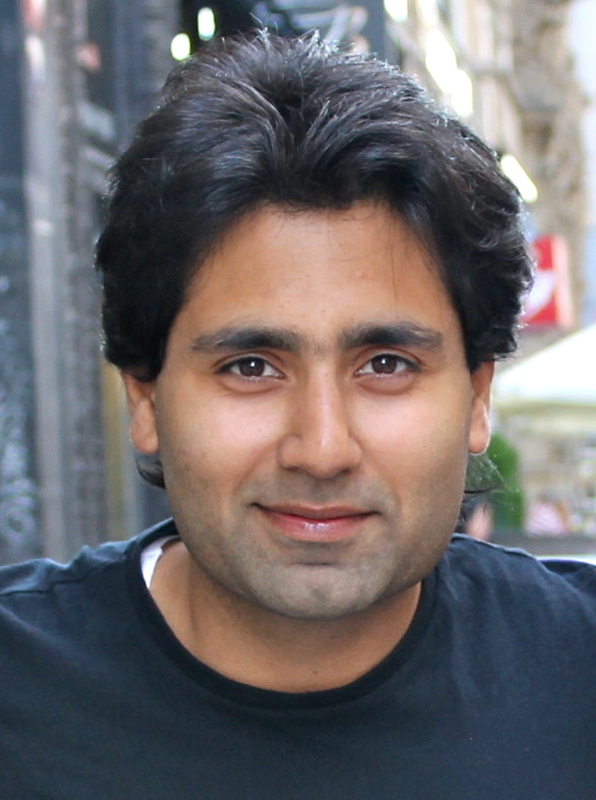 Vishal Mehra is a professional digital marketer during the day, and an Aviation Geek all the time. His love for all things travel ultimately made him want to know more, leading to becoming an #AvGeek. Follow him on Twitter and visit his blog.